"Like" token, awarded by Vistaus. 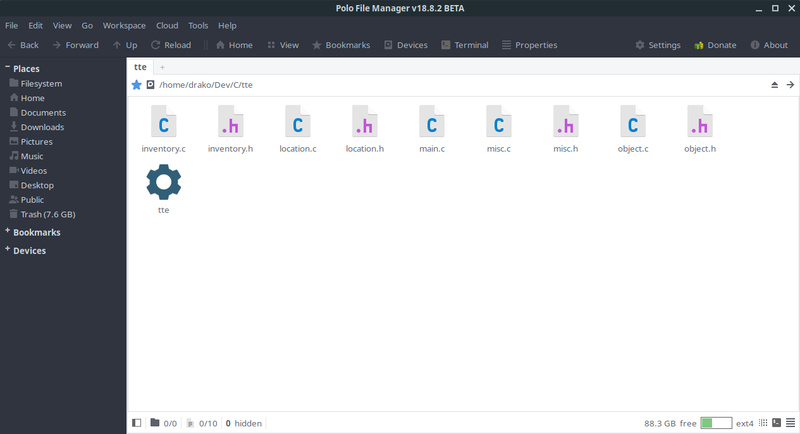 Advanced file manager for Linux written in Vala. Supports multiple panes (single, dual, quad) with multiple tabs in each pane. modifying PDF documents and image files, booting ISO files in KVM, and writing ISO files to USB drives. I've been using this file manager on Solus for a few days, now, and it's honestly awesome. Every complaint I've had about Nautilus, is solved with Polo. It has a nice number of settings, can save your session, create new files without having anything in Templates, but supports templates, too. Has tabs, has split view (up to four, actually) can be customized to look and feel like a number of different file managers. Has a great deal of options to customize your workflow, all without looking like an ugly POS. 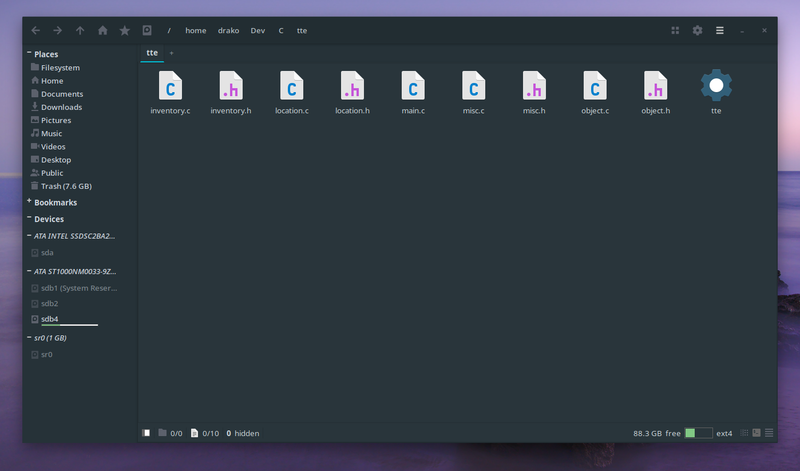 I think it fits very nicely with the Budgie DE, and Polo can use any GTK theme installed on the OS. And despite being marked at Beta, It's been nothing but stable, smooth, and useful. Indeed, it supports the Adapta-Nokto theme quite nicely, and as you can see, has an option to support headerbar buttons. Functionally, it can look and feel as clean and as simple as Nautilus, without losing basic File Manager functionality like Nautilus. Note, that some of these are probably optional, but the .run file had a list of dependencies that some didn't have known equivalents, so I installed these and it's worked fine ever since. The ONLY problem (if you can call it that) is that the first time Polo runs, it has a pop up menu that asks for donations, and there's a donate button on the upper right. However, the pop-up only runs the first time Polo is started, and never shows again, and the contribution button can be easily ignored. I'll see if I can build this from source. @serebit I've successfully built this from source for the past couple of months on Solus. I remember @JoshStrobl mentioned (I'm pretty sure it was Joshua) that they were considering Polo as one of a few replacements for Nautilus. It was a while ago so I don't know where that stands now, maybe he can comment here. Incorrect. It was mentioned to me once by @blaz but I never considered it for replacing Nautilus. It'd be a top contender. Just give it some Solus' Sane Defaults™ and it'd be a good fit. I'm not opposed to this being included in the repository, just uncertain whether or not it'll be the default or if I can find the time to work on my own file manager. Regardless, this needs to leave beta and have a stable release before it's accepted for inclusion. So moving to Awaiting Package Upgrades until then. We're talking about a file manager, it's responsible for managing your files, moving them, manipulation them, etc. I wouldn't want something in beta being used to manipulate my filesystem, personally. This isn't like a music app where the likely worst case scenario is it just simply can't play your file. Generally speaking, as per our Package Inclusion Policy, we prefer a stable release. This is something I'm requiring given the application's usecase. @DataDrake That's not why it's been sitting dormant. It's been sitting dormant because there isn't a stable release yet.